A South Australian company has teamed up with naval industry leader Navantia Australia and landed a $2.8 million contract. SAGE Automation will supply integrated platform management systems (IPMS) to Navantia for two ships under construction for the Royal Australian Navy (RAN). IPMS are core components of any naval control system, as they manage and control every activity of the ship. There are approximately 55 control panels per ship. This agreement is now the third project between the two companies since a joint venture was established in 2016, known as the Navantia SAGE Automation Group (NSAG). The agreement creates a global in-country capability to provide IPMS for Australia and the Asia-Pacific region. NSAG said it will use its well-established supply chain and partnerships to source the components. The IPMS panels will be manufactured and tested in SAGE Automation’s manufacturing centre of excellence in Adelaide and exported to Ferrol, Spain where the two RAN Auxiliary Oiler Replenishment Ships are being built. The project, due to start in June 2017, will have a 24-month duration. When returned to Australia, NSAG will provide IPMS platform support, under a five-year support contract. SAGE Automation employs 250 workers, providing industrial automation and control services across the defence, infrastructure, manufacturing, resources and utilities sectors. NSAG has also submitted proposals for the Offshore Patrol Vessel program, and will be part of Navantia’s bid for the Future Frigate program. SAGE Automation's chief executive Adrian Fahey said the company's joint venture with Navantia and the establishment of NSAG has allowed the SME to remain a key part of the industry supply chain. "NSAG has the capability, resources and commitment to remain a key member of the local supply chain for naval shipbuilding and ongoing support in Australia," Fahey said. "This successful partnership has been a catalyst in our diversification to become an advanced manufacturer, which is enabling us to compete globally and support other Australian businesses to do the same." Managing director of Navantia Australia Francisco Barón also praised the NSAG partnership and said it will continue to play an important role in developing the skills of Australia's naval shipbuilding industry. "NSAG will play a critical role in continuing to develop skills to support the naval shipbuilding industry into the future as we support the government’s naval shipbuilding enterprise," said Barón. "The NSAG joint venture between Navantia Australia and SAGE Automation is a key partnership which Navantia Australia has undertaken to help grow Australian skills and capacity to contribute to the defence industry." 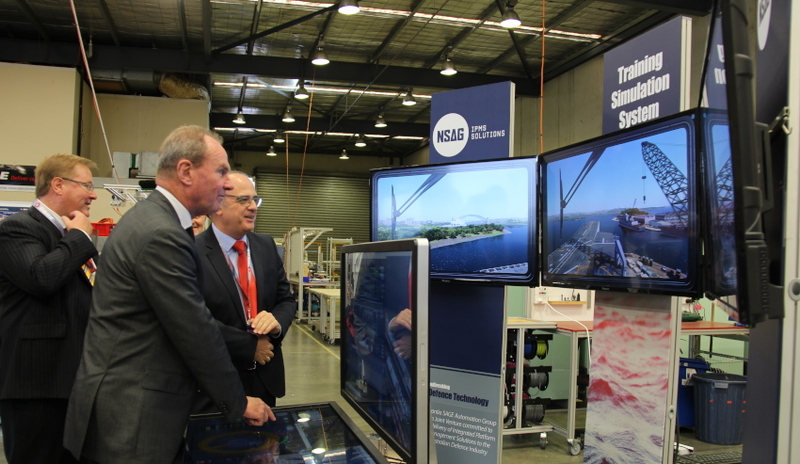 SA's Minister for Defence Industries Martin Hamilton-Smith also praised the partnership as a crucial step for the state's local defence industry ahead of the upcoming shipbuilding programs. "With $89 billion in naval shipbuilding work for South Australia, it is vitally important that our local defence industry provides a stable supply chain and has a flow of work to maintain capabilities, ready for when the Offshore Patrol Vessel program commences in 2018," Minister Hamilton-Smith said. "This latest win for SAGE Automation and Navantia Australia is another example of South Australia’s capability to develop and export high-tech solutions and applications to the world. Contracts such as this with Navantia further strengthen our local capability in naval automation and monitoring and create a footprint for future Royal Australian Navy platforms." This latest contract brings the total Royal Australian Navy (RAN) ships with the NSAG IPMS to a total of seven, supporting more than 1500 crew to operate the RAN’s newest naval assets.